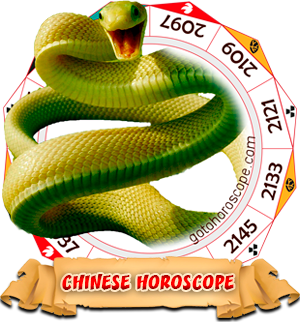 This 2010 year horoscope for a Chinese zodiac sign Snake marks a very important period of solving serious problems connected with the career and ambitious plans. This year 2010 extreme fuss, intensive and unnecessary communication will annoy Snakes. Besides, during the 2010 year of Tiger you may get involved in somebody else's conflicts and problems. 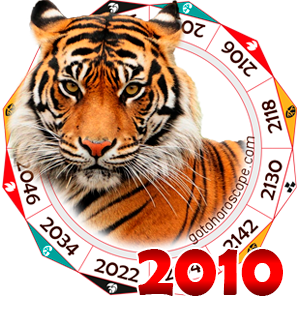 This process will be highly intensive in the first half of the year 2010, causing Snakes against the will please those who surround you in work and at home, and pay more attention to their needs. 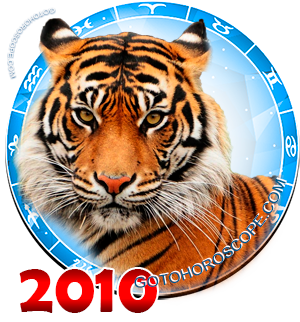 The second half of 2010 year horoscope of the metal Tiger is more favorable and calm. It's when sociable and cheerful Snakes may make new friends, as well as modify the goals and plans, which will play an important part in the fates of many Snakes. Romantic affairs of people of this sign will also be perspective, especially in the second half of 2010 year.